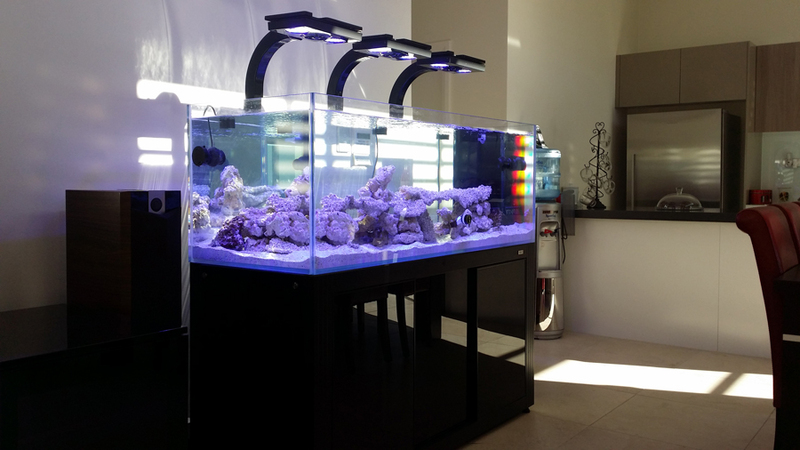 Ever since EcoTech Marine introduced their Radion XR30 LED fixture at MACNA in 2011, aquarium keepers have been on the hunt for the best solution to mounting them on or hanging them above their aquariums. Since aesthetics are so, so important in the appeal of an aquarium, there’s really no surprise that the hunt has been never ending for some. Fortunately, that search may be over, as BioTek Marine has (in our humble opinions) the best looking tank mounts for the Radion XR30 light fixtures. The light mounts, which are distributed through Aquarium Specialty, are made from solid cast acrylic and have been machined and polished to give a mirror like finish. 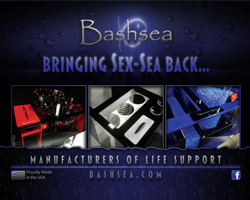 They mount simply to the aquarium, using discretely placed thumbscrews, and additional hardware keeps the cords from the light fixtures hidden from view. For the Radion, there are two models available, an 18-20″ mount and a 24″ arm. They are each priced at $209. If you’re in the market for a mounting arm such as this, but don’t have a Radion, there are other models available form BioTek that accommodate the AquaIllumination Hydra and Hydra FiftyTwo LED fixtures. Eventually, models for the Hydra TwentySix and Radion XR15w Pro will be available. wish that they had a 30″ version….